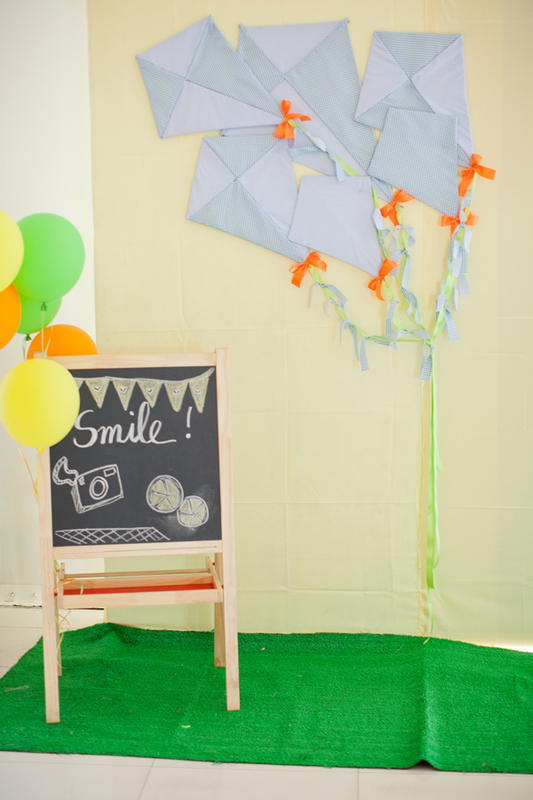 Boy oh boy, have I got a treat for you today! 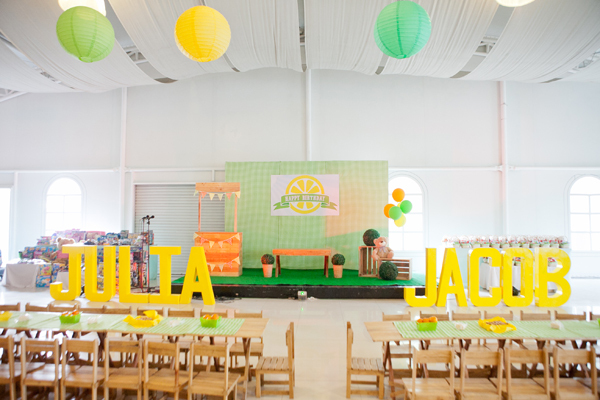 Kiddie parties are always a lot of fun and it’s even more so if there is a pre-birthday shoot with a matching theme to go with it. 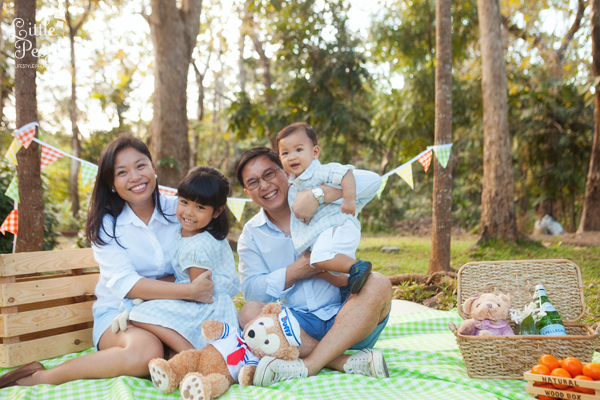 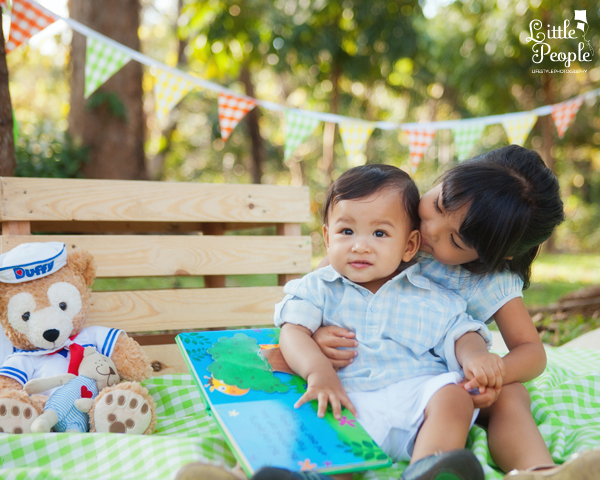 For Jacob and Julia’s birthday, the family decided to have a Picnic themed party and along with that they also had an enjoyable picnic outdoors for their family portrait. 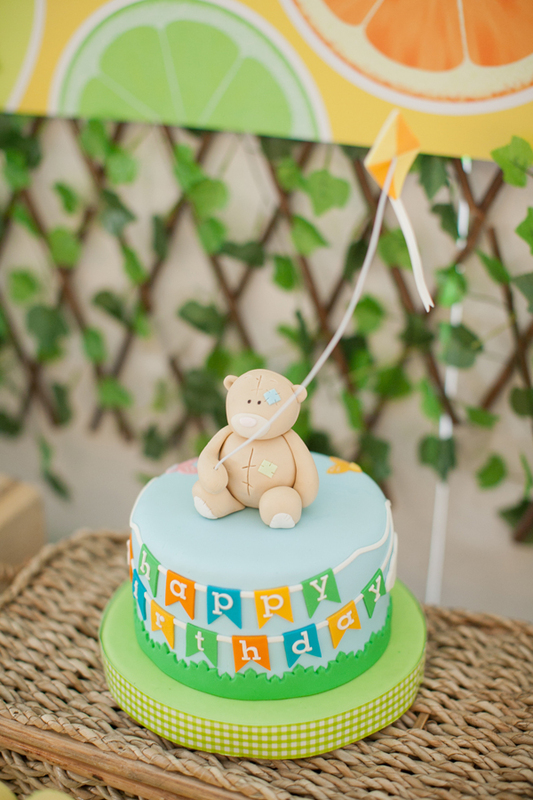 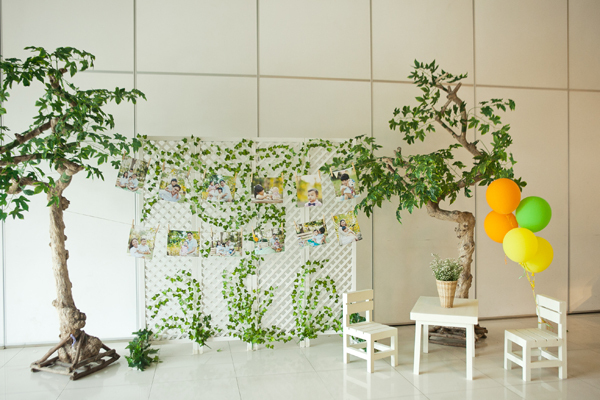 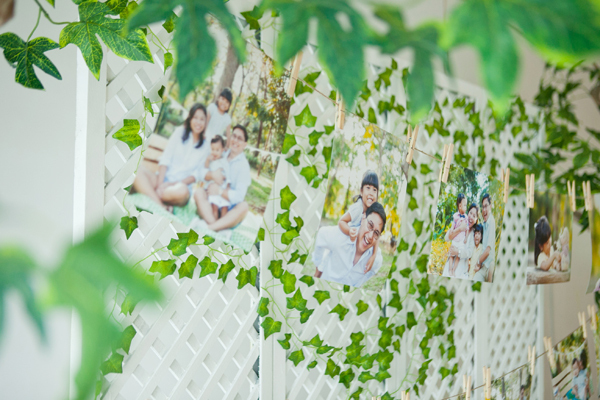 Get a glimpse of the lovely photos from the birthday party and the family lifestyle shoot styled by Party Please and captured by Little People Lifestyle Photography in the gallery below. 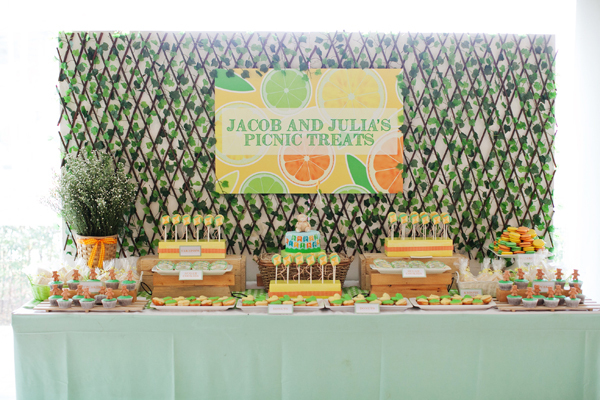 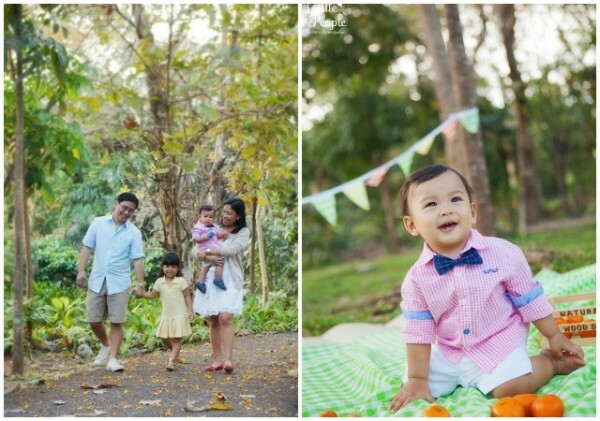 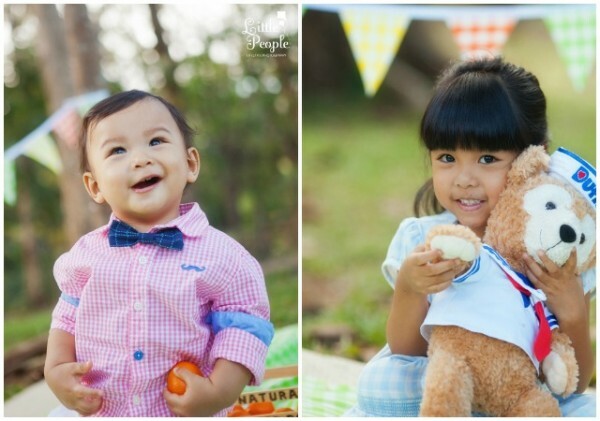 Jacob and Julia’s picnic themed party is full of charm. 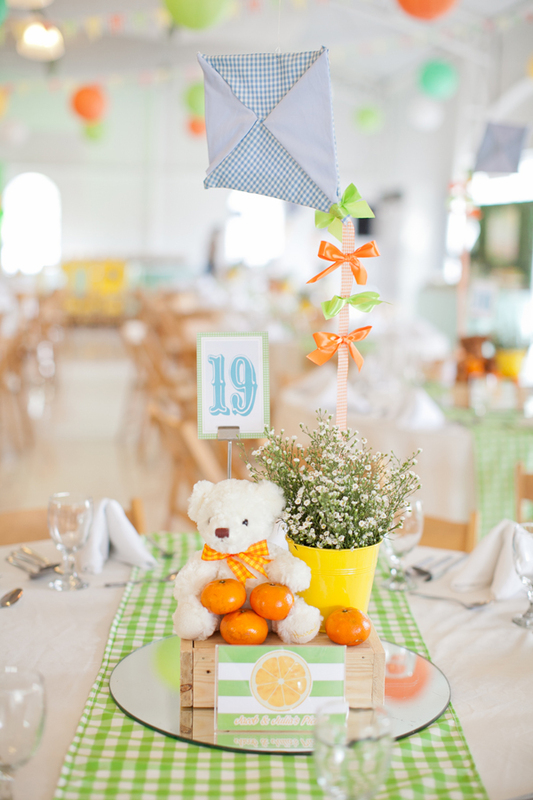 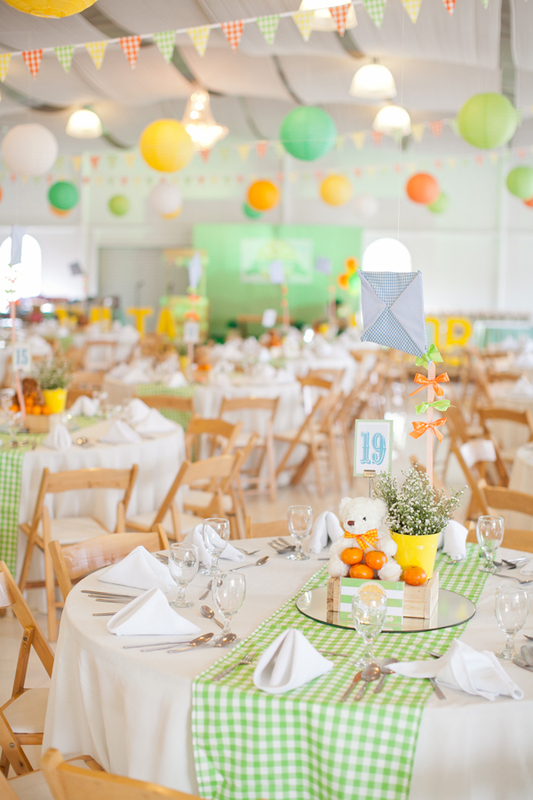 The party colors consist of gender neutral colors of yellow, orange, and green and everything was styled in such a way that is perfect for either a girl or boy’s party. 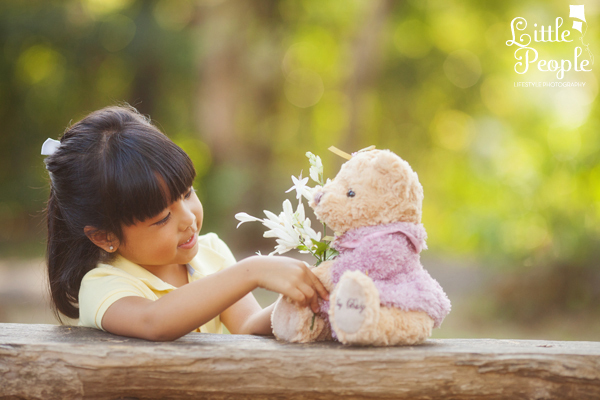 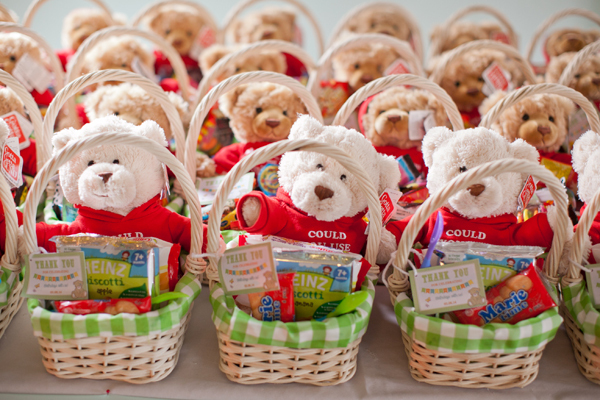 Everyone surely enjoyed receiving a picnic basket full of treats, party favors, and a cute and cuddly teddy! 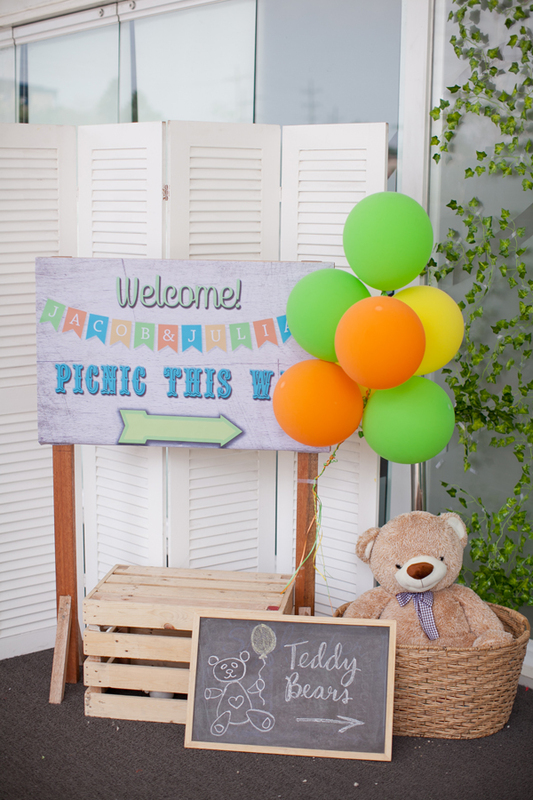 How Pristine of Party Please was able to get that outdoor picnic feel for a party held indoors is beyond me. 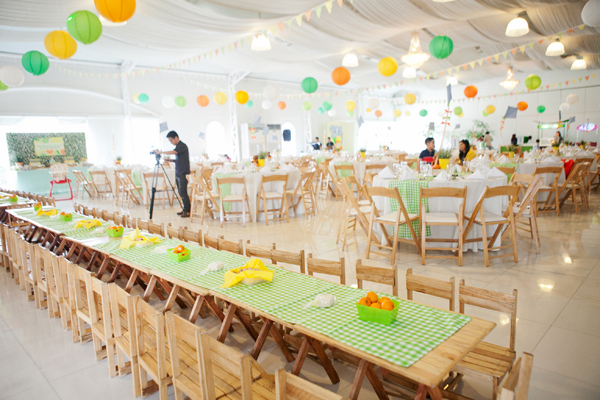 Maybe it’s the gingham print table runners or the wooden chairs – I’m not sure. 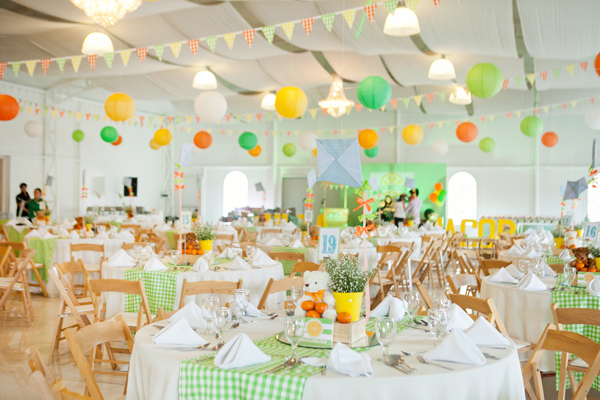 All I know is that this is a very beautiful setup for a picnic themed party.